MAID CLEANING WINDOWS AT HIGH UNIT! SO DANGEROUS! You are at:Home»Caught In The Act»MAID CLEANING WINDOWS AT HIGH UNIT! SO DANGEROUS! “A very kind and worried FDW has just sent me these pictures. She has noticed several times this helper cleaning the windows on the 32nd floor, in Farer Road. 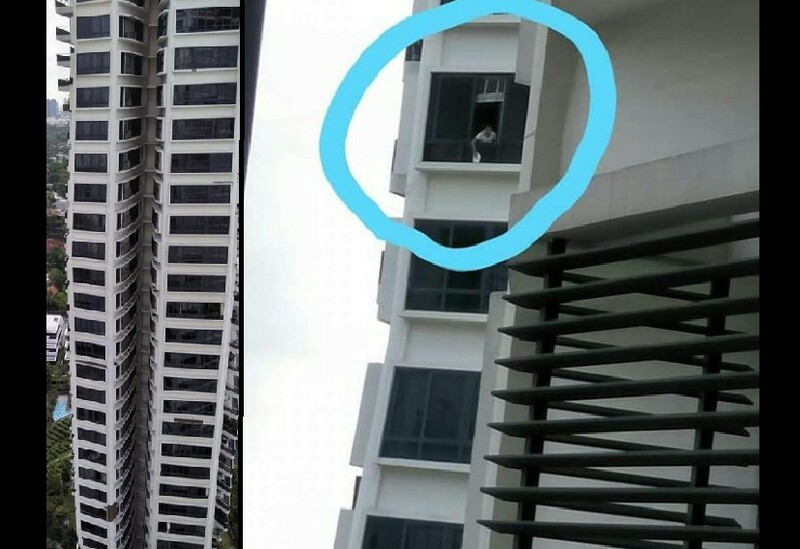 We would prefer that those tenants with maids living in high floors would engage in a professional to clean windows from outside the unit to ensure no one accidentally falls to their death.